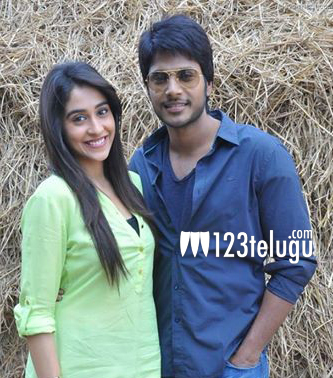 Sundeep Kishan, Regina starrer Ra Ra Krishnayya is in the last leg of shooting. Except for the film’s climax and two songs, the rest of the film’s shooting has been wrapped up. Recently, a song was canned on the lead pair in Hyderabad and Sundeep Kishan is quite happy with the way it has turned out. The last schedule of the film will begin shortly and the entire shooting is expected to be wrapped up sometime in March. The film is being directed by newcomer Mahesh Babu P and Vamsi Krishna Srinivas is producing the film under SVK Cinema banner. The makers are planning to launch the film’s audio in March itself. Jagapathi Babu is playing an important role in the film and it is said to be one of the highlights of the film. Achu is scoring the music. The film is gearing up for release later this summer.